Since you wrote about Aereo, that company with the millions of TV antennas that was going to free us from the tyranny of Comcast, Verizon, Time-Warner, Cox, and all of the other blood-sucking video vampires, and the fact that Aereo lost big-time in the Supreme Court, we have been waiting for the next chapter. So what gives? Fear not! The Aereo saga continues, and it's gotten even stranger since those six Honorable Justices of the Supreme Court shut down the service in June. Okey-dokey, said Aereo...if that's what the Court says, then we'll just be a cable company, pay royalties to the broadcasters, and pass those fees on to our subscribers. After all, competition in the market is what the good ol' USofA is all about, right? Now, you'd think that the TV guys would be pleased to have more money, and that would be the end of it, but no, here's where the story gets even more bizarre. Aereo's Position: The Supremes said that we walk like a duck, and quack like a duck, so we are legally a duck. We now agree, so we are going to use the compulsory license provisions of the Copyright Act to allow us to retransmit over-the-air programs to our customers. We will, of course, pay for that right as the law requires. Done and done. The TV Guys: No so fast, Aereo. You're NOT a cable TV company, and you can't use the law that the Supreme Court says you violated to stay in business by paying us. You have to stop. You can't show our programs. Not in real time, and not even by time-shifting. We demand an injunction from the trial court. Now! The District Court considered the issues carefully. Judge Allison Nathan then issued a 17 page order effectively shutting down Aereo. Why, you ask? Well, to put it bluntly, it's not good enough even if Aero agrees with the Supreme Court, and offers to pay. Judge Nathan reasoned that "Aereo's argument suffers from the fallacy that simply because an entity performs copyrighted works in a way similar to cable systems it must then be deemed a cable system for all other purposes of the Copyright Act." And, unfortunately for Aereo, an earlier decision of the Second Circuit Court of Appeals had already determined that Congress never intended that Internet transmissions of video should be called cable television for purposes of the Copyright Act. WPIX, Inc. v. ivi, Inc. (Perhaps the Supremes didn't read that one). Aereo, like other innovators such as Uber, Lyft, and AirBnb, is faced with laws and judicial interpretations that look squarely backward, while their business models try to look to the future. So there you have it (or rather, you don't, and won't anytime soon.) The Doc suggests that you call your cable company for service. That way, at least you'll be home between November 1st and 15th between the hours of 6am and 9pm, and that will keep you out of trouble. Have a question about some intellectual property dilemma? The attorneys at LW&H actually like to think about such things (even though it sometimes makes their heads hurt.) Give them a call. Until next month (or not)... Don't stop believin'. Now that sporting a tattoo has gone mainstream, it would only stand to reason - - given that tattoos are creative expressions fixed in a tangible medium (skin) - - that tattoo artists seek protection of their designs under copyright law. To date, few copyright cases involving tattoos have been filed but we've learned that video game companies, in particular, are not taking chances. Here's some background. 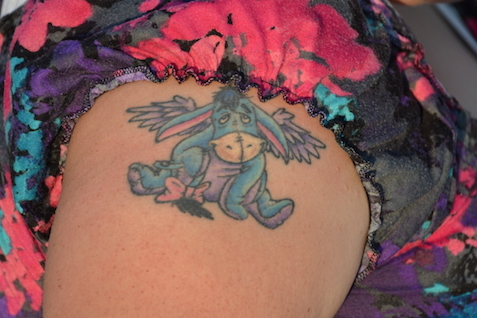 First, why you may ask is a tattoo deserving of copyright protection? Section 102 of the Copyright Act provides protection for "original works of authorship fixed in any tangible medium of expression." "Works of authorship" include a number of categories, including pictorial and graphic works. There should be little controversy that a tattoo design is equivalent to a graphic or pictorial work and that skin is a tangible medium of expression. The question of determining "originality" would be the same as for any graphic work. But once created, who owns the image? The customer or the artist? Copyright law would assign ownership rights to the artist unless there is a license or assignment of the rights to the customer. There are other interesting issues. Could photographs of the wearer in which the tattoos are visible be actionable copyright infringements? What about video games? NBA stars, for example, adorn themselves with tattoos. Do video game companies need a license to portray the stars and their tattoos and, if so, from whom do they obtain licenses, the wearer or the artist? In 2011, in perhaps the first lawsuit of its kind, Victor Whitmill, a tattoo artist -- most notable for creating the Maori inspired tattoo on the side of Mike Tysons's face -- sued Warner Brothers Entertainment in an attempt to stop the release of the movie "Hangover Part II" in which one of the characters was tattooed in identical manner to that of Mike Tyson. Whitmill claimed copyright infringement resulting from the film's promotional activities showing the tattoo, demanded that release of the movie be stopped, and other costs and damages. The judge agreed that Mr. Whitmill had "lost control over the image he created" and that Whitmill had a legitimate copyright claim in his tattoo design, Yet, the court refused to grant Mr. Whitmill's request for a preliminary injunction ruling that "the public interest does favor protecting the thousands of other business people in the country as well as Warner Brothers" connected to the film and its promotion. The parties eventually settle Though not the final word on the matter, the court's decision sets the stage d.for similar type actions by those seeking to protect tattoo designs. As result of this lawsuit -- and good business sense -- certain media companies and sport groups, according to the Wall Street Journal, weren't taking chances. The NFL players Association was urging athletes to obtain licenses for their body art and Electronic Arts (EA) reported that for its latest video game "Madden NFL 15", that it scanned images of tattoos only from after getting legal authorization from the artist who drew them. Apparently, tattoo artists are more than willing to sign releases when presented to them by sports athletes. If you'd like to learn more about the legal basis for claiming copyright protection in tattoo art, don't hesitate to call the lawyers at Lipton, Weinberger & Husick. In the not-so-slow death spiral of software patents in light of the Supreme Court's recent decision in Alice v CLS Bank, another trial court has determined that a patent for software should not have been issued because the software addressed by the patent is not the kind of invention eligible for patenting. In the case of Amdocs v Openet Telecom, the Federal district court considered whether inventions directed to software for reporting usage of network devices on a computer network could be patentable. The court applied the two-part test of Alice v CLS Bank: first, does the challenged patent claim address an abstract idea; second, does the claim include 'something more' to transform the abstract idea into something that is patent-eligible. The court's answer to the first question was 'yes' and to the second question was 'no,' rendering the patents unenforceable. The claims in question addressed a purely software product that does nothing outside of a computer. What the software product does inside the computer did not seem to be of much interest to the court. 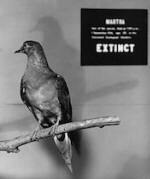 If the Amdocs decision becomes the norm, then patents for software will be only a dusty footnote, like the passenger pigeon.